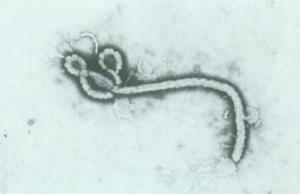 This thread is specifically intended as a way to keep a record of the Ebola situation world wide. Anyone who has any information regarding Ebola, is encouraged to put it on this thread, and any previous posts made on the diseases thread, addressing Ebola, can also be cross posted here, if those who made the posts care to go to the trouble to repost them. Strictly your choice. This situation appears to be escalating, and air travel is going to be a critical way of spreading the virus. Taking people already ill with Ebola and bringing/taking them to any other country other than where they contracted the virus seems to me to be a questionable practice, and could be responsible for spreading the disease all over the world, and quickly. The intent here is not to create fear, it is to help make and keep us aware. Could be nothing but hype, but I sure don't think I like them transporting those infected to non infected areas. "In West Africa's quickly evolving Ebola virus disease (EVD) outbreak, the illness continues to exact a heavy toll on healthcare providers and disrupt aid work, with reports of more cases and deaths and news that two top doctors in Sierra Leone and Liberia have died from their infections, according to official sources and media reports. 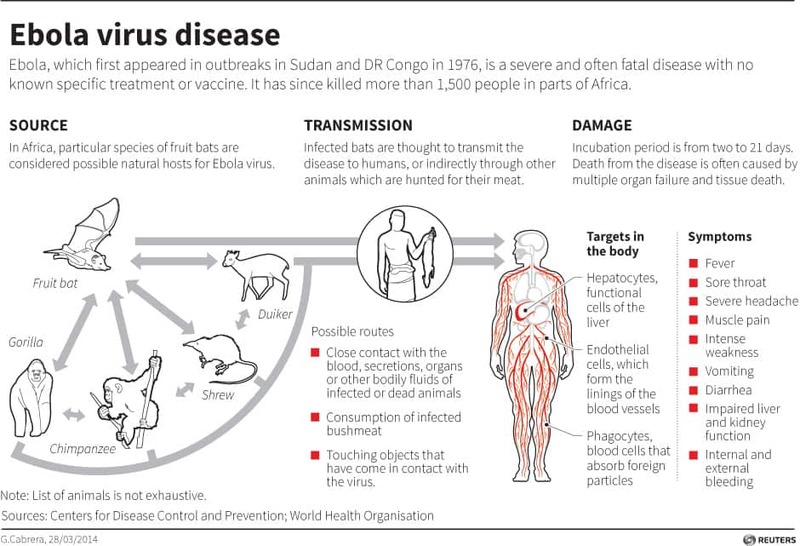 Health officials outside Africa have said the disease threat to other regions of the world is low, because EVD is spread only by exposure to the blood and body fluids of infected patients, and infected people aren't contagious until they show symptoms. However, authorities in nations such as the United States and England have warned healthcare providers that they should be prepared to see isolated cases in travelers. The World Health Organization (WHO) said in its latest update today that 122 new infections and 57 more deaths were reported in Liberia, Sierra Leone, Guinea, and Nigeria between Jul 24 and 27. The new cases raise the outbreak's overall total to 1,323 cases, 729 of them fatal. The largest number of new reports was from Liberia, which had 80 new cases and 27 deaths." "(CNN) -- The fear began just after news broke Thursday that a long-range business jet with an isolation pod left the United States for Liberia, where it will evacuate two Americans infected with Ebola. Twitter exploded with questions about the deadly virus, which according to the World Health Organization is believed to have killed hundreds in four West African nations. And with reaction to news that two infected Americans would soon be on their way back to the United States. "Why are they doing this?" Robin Hunter asked in a post on Twitter. While U.S. officials have remained mum on the issue, a source told CNN that a medical charter flight left from Cartersville, Georgia, on Thursday evening." A CNN crew saw the plane depart shortly after 5 p.m. ET. The plane matched the description provided by the source, who spoke on condition of anonymity. It was not immediately known when the two Americans -- identified by the source as Dr. Kent Brantly and Nancy Writebol -- would arrive in the United States, or where the plane would land. At least one of the two will be taken to a hospital at Emory University, near the headquarters of the U.S. Centers for Disease Control and Prevention in Atlanta, hospital officials told CNN's Dr. Sanjay Gupta. The patient will be cared for in an isolation unit at the hospital that is separate from patient areas, Gupta said. With the return of Brantly and Writebol to the United States, it will be the first time that patients diagnosed with Ebola will be known to be in the country. Brantly and Writebol are described as being in stable-but-grave conditions, with both reportedly taking a turn for the worse overnight, according to statements released Thursday by the faith-based charity Samaritan's Purse." The streets of Voinjama city, the provincial capital of Lofa County, on Tuesday witness a scene of panic with residents running heater scatter when dozens of suspected Ebola patients ran from their holding room in the main hospital’s compound and started loitering around other wards that hosted several patients with different medical problems. Tokpa Tarnue, a local journalist on the scene told FrontPageAfrica Wednesday that the majority of the suspected patients were in a holding room at the Tellewoyan Memorial Hospital while awaiting their departure for a treatment and isolation center in Foya when they abruptly left their room and moved into other wards that later resulted to all health workers escaping the hospital compound in deep fear. According to the journalist, the suspected patients managed to leave the hospital premises and ran into various homes and streets, a situation that caused severe panic among citizens and residents of Voinjama who were likewise escaping from the patients fearing not to contract the deadly Ebola virus. He told FrontPageAfrica that for several hours Voinjama was like a ghost town as many residents escaped the city while others locked themselves in their homes. I still dont know what to think about all this. Years ago I read the book The Hot Zone and that was an eye opener back then, it's a good factual read. The chorus goes something like " ebola! Ebola! Dont touch your friend...ebola!" A report on a Dr that came back from the zone and self quarantined in Victoria, B.C. has been proven false. Canada finally issues a travel warning. Canada on Friday joined a list of countries warning about the Ebola virus and travel to West Africa, while the head of the World Health Organization issued a dire warning, saying the outbreak in the region “can be catastrophic” if the virus is not contained. The Public Health Agency of Canada is warning people to avoid all non-essential travel to Guinea, Liberia and Sierra Leone, where officials are battling an outbreak that has killed more than 700 people since February. “Travellers could face difficulties accessing health-care services from an increasingly burdened health-care system. Travellers could also be exposed to the Ebola virus when seeking medical care in a health-care setting.” the statement said. Infected American aid worker to be treated in U.S.
A U.S. aid worker who was infected with the deadly Ebola virus while working in West Africa will be flown to the United States to be treated in a high-security ward at Emory University Hospital in Atlanta, hospital officials said on Thursday. Um....maybe its just me but this is a bad bad bad bad idea. It is NOT just you. Yes, they should have treatment, all available treatment.............but NOT take chances bringing it into the US. WTH are they thinking? Makes me think they know something, they are NOT telling!! Wonder who is flying that plane? Pretty brave individual, considering how sick the two are that they are bringing back here. The four cases which weren't tested involved people who simply thought they had contracted the virus after travelling to West Africa. The institute has been discussing the latest developments around the Ebola virus outbreak in West Africa just a day after the World Health Organisation confirmed that 729 people have died from the epidemic in Sierra Leone, Guinea, Liberia and Nigeria. The institute is currently briefing the media in Johannesburg on the latest developments of the Ebola virus outbreak in West Africa. The NICD once again appealed for South Africans not to panic. To date, there have been over 1,000 reported cases of the virus and over 700 deaths in Guinea, Liberia and Sierra Leone and Nigeria. The institute says the risk of infection for travelers is generally considered low since most human infections result from direct bodily fluids being exchanged. Government has put in place legislation that foreigners with a confirmed diagnosis may not come into the country for treatment as a precaution to keep South Africa free from Ebola. The country’s ports of entry are also being closely monitored. Meanwhile, Nigeria has quarantined two people suspected of being infected with the virus and has placed 69 others under surveillance. Health officials say the 71 people came into contact with Liberian government consultant Patrick Sawyer who died from the virus earlier this week in a Lagos hospital. World Health Organisation officials say the current Ebola outbreak in West Africa is the deadliest ever. A new global response plan - worth over a R1 billion - is being rolled out in West Africa to try and stop the spread of the virus. This is the most realistic "pandemic" movie out there as for what would happen. Dr.Branty age 33, has arrived at Hospital (Atlanta) on 33rd Deg Parallel North and I see a suggestion zip code is 30303 but I have not confirmed that last detail yet. Maybe ZIP related to co-ordinates somehow? I am not familiar with the US system. Why experts are surprised doctor who contracted Ebola could walk in to hospital. August 1, 2014 – Today, the Health Department is conducting the largest no-notice emergency response exercise in New York City history that will test our ability to respond to the release of a biological agent. Called RAMPEx, which stands for Rapid Activation for Mass Prophylaxis Exercise, the exercise involves notifying and deploying over 1,500 staff from more than a dozen City agencies and setting up 30 temporary locations that would be used to rapidly dispense life-saving medication in the event of an emergency. The majority of participants in today’s exercise were given no notice, meaning most participants were not informed of the day or time of the exercise, in order to better test and simulate a real emergency and response. Yes, Ebola can be spread by inhalation, and yes the Government is preparing for "Inhalation Ebola". Just yesterday the President issued an executive order which allows the CDC to use the guise of infectious pneumonia to quarantine people for Ebola. And today New York held its largest ever unannounced pandemic response drill. Such drills are an effective way to stage logistical pandemic supplies without alerting the public. To understand the risk of inhaled Ebola and why these actions have been taken, consider that two American medical missionaries appear to have come down with EBOLA by spraying down their protective clothing with disinfectant. It seems that the disinfectant spray aerosolized the infectious contamination on their protective clothing. Now consider what it means for the spread of EBOLA when the people spraying the disinfectant on their protective clothing die from that action. It seems that this information resulted in the CDC issuing guidance to aircraft crews that focuses on suspected Ebola cases spreading Ebola by actions as minimal as "talking". CDC's guidance even warns against using compressed air to clean aircraft as it will result in the airborne spread of Ebola. Its this airborne potentiality which makes EBOLA basically untreatable and un-quarantineable in anything but a very few Level 4 Biosafety facilities. Its a situation which has the potential to bring the majority of Zombie Apocalypse vignettists into play. The current situation is grave enough to scare the pants off even Pentagon Planners. In that regard, If you're easily frightened, or can act without first thinking, now is a good time to stop reading this post as we explain the worst case "Red Team" scenario. The 2nd or 3rd appearances of Ebola in the USA result in large numbers of people placed in quarantine under the guise of a 'viral pneumonia'. Experts will make claims that Ebola is not "airborne" while taking ethical solace that 'Inhalation Ebola' doesn't meet their technical definition of "airborne" even though the outcomes are similar. Such subterfuges are undertaken to avoid panic and uncontrolled disease spread. If such quarantine fails to stop the spread then whole cities are quarantined and travel is shut down. At this point, no person with Ebola can expect treatment; and anyone with a fever (and their direct associates) can be expected to be rounded up and placed in isolation with Ebola victims. From this point onward if the spread of the disease is not stopped and death rates remain over 50%, Governments enact Zombie Apocalypse type rules as any potential victims are too high risk to keep alive. Of course none of this means that the worst case will happen with Ebola, it just means that Governments are making contingencies to do what they believe is required under the worst case; and that alone should scare the crap out of you. We don't expect Ebola to be Zombie Apocalyptic; our take is that the Powers-That-Be are currently more afraid of the damage from public panic than from the actual spread of the disease. Unfortunately this sets up a situation where the desire not to be truthful with the public places the public at risk and actually increases the probability of the worst case scenario playing out. What this situation means is that wise people will realize that Public Health communications could rapidly go from "Everything is okay" to "Shut up and do what you are told". One should not expect to be able to make effective last minute logistical action IF things go bad. Something about them bringing the people into the USA really stinks.